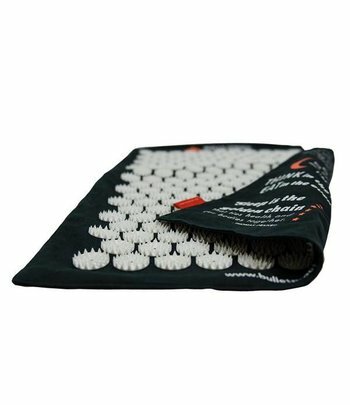 This great acupressure mat helps you to relax, so you fall asleep faster and sleep deeper. 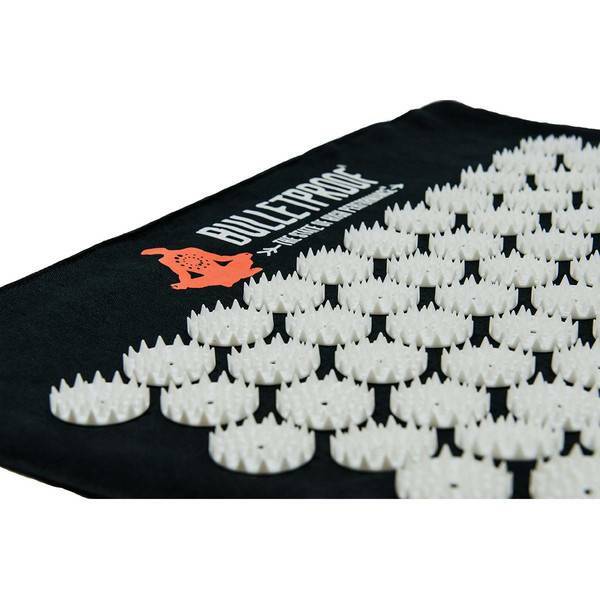 The acupressure mat is a tool to relax so you fall asleep faster and sleep deeper. 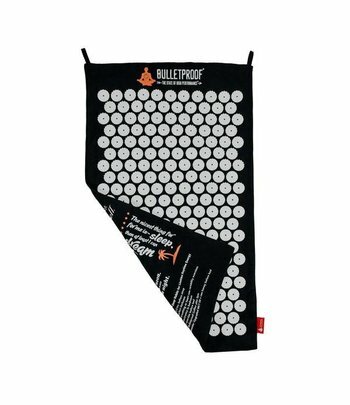 The Bulletproof® Sleep Induction Mat is 45 cm wide and 80 cm long. It weighs 6 ounces. 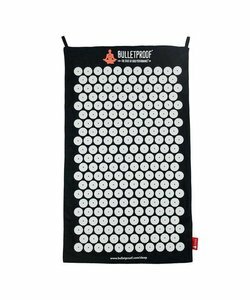 How does the Bulletproof® Sleep Induction Mat work? 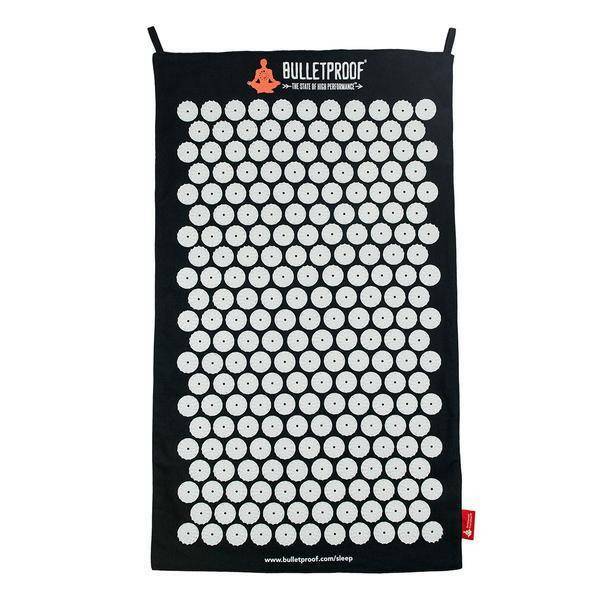 The Bulletproof® Sleep Induction Mat is a tool that helps you sleep. You are better equipped and it improves your energy level. It is about as big as a pillow and you can roll it up for storage or travel. 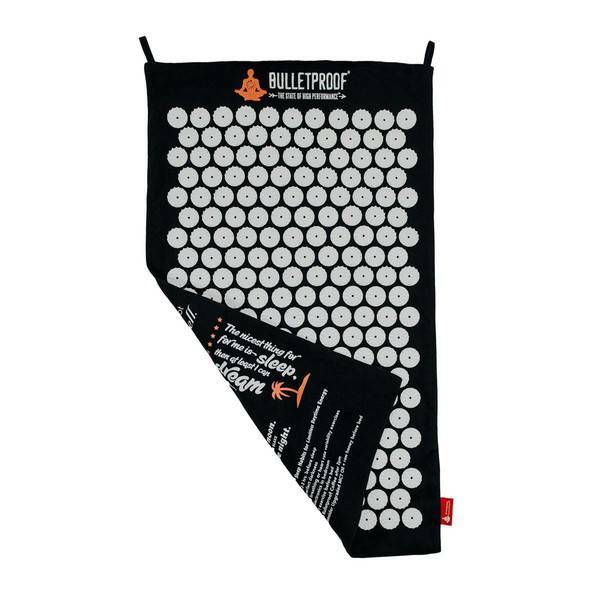 A few minutes on the mat stimulates acupressure points in your lower and upper back which leads to deep relaxation. Stimulating the acupressure points stimulates blood circulation so your body produces endorphins and beneficial hormones. On your back, there are several major acupuncture meridians. The meridians that run along your back and shoulders facilitate relaxation and encourage deep sleep so you wake up more rested. 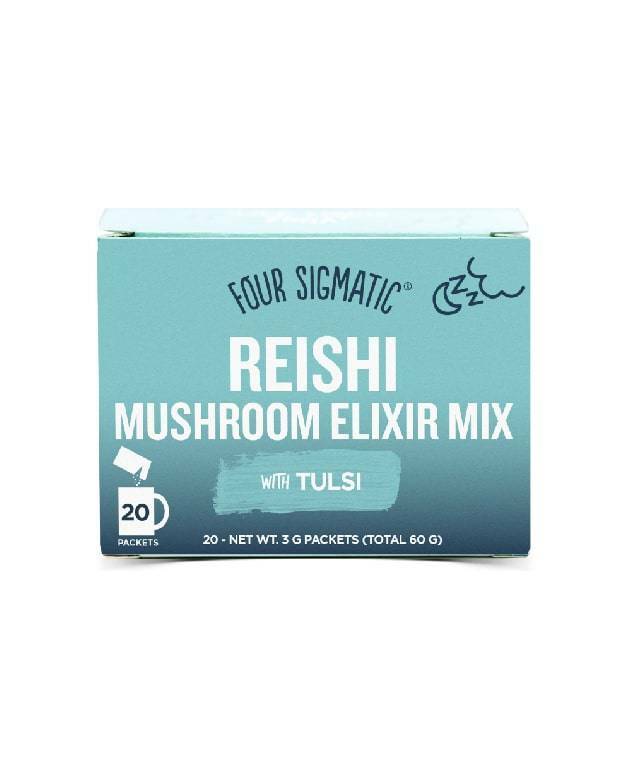 First, you'll feel a warm glow in your back, followed by a relaxation of your muscles. 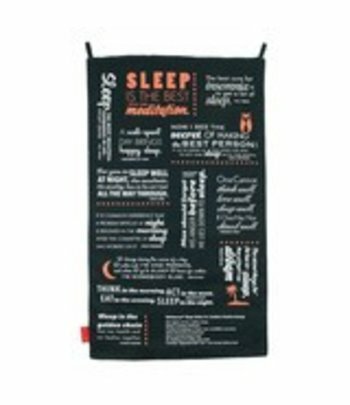 The concept of the Sleep Induction Mat is based on acupuncture techniques from Russia, China, India and the Middle East. 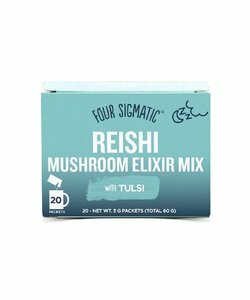 Similar applications have been known for centuries as meditation tools. 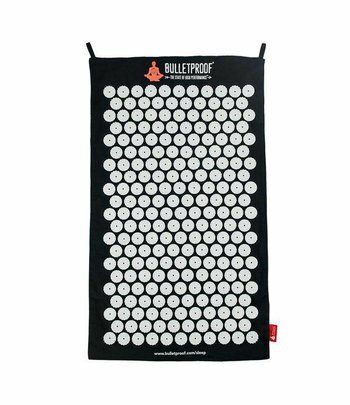 Achieve deeper sleep with the Bulletproof Sleep Induction Mat. Lay the mat down on your bed or floor and position a small pillow above the mat. Lie down slowly and allow the tiny nodules to press into your back. 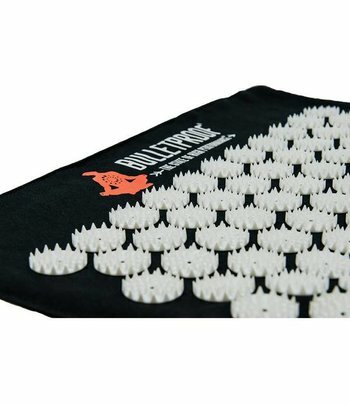 The mat’s acupressure nodules are long and pointed but they will not harm your skin when used properly; lie down on the mat slowly and carefully to avoid any sudden pain or scraping of the skin. Your body will begin to release endorphins after a short while. 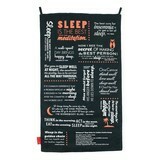 When you are finished, roll off the mat and enjoy a restful night’s sleep. Ideal time on the mat will vary from person to person. Start simply with 15 minutes lying on the mat before bed, and slowly increase the time to 30-40 minutes as you get more comfortable. Feel free to use a thin towel or t-shirt over the mat when you are first starting, as this will reduce the intensity of the initial sensation.